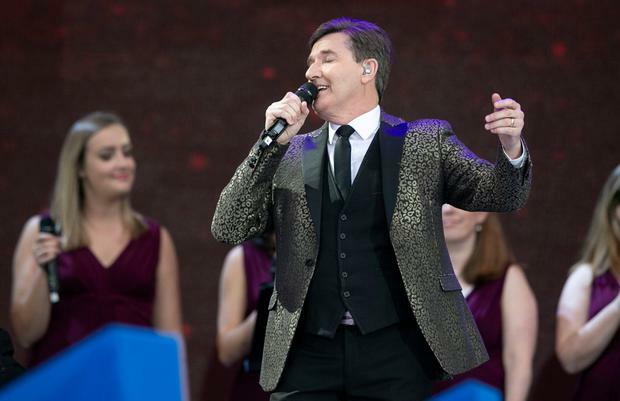 Daniel O'Donnell has warned his fans to be wary of an online fraudster posing as the singer and asking for money for charitable causes. The Mirror reports that the scam is unfolding over WhatsApp with the scammer impersonating the singer by using both his image and the name 'Daniel O'Donnell' and asking for donations. The Donegal star warned his fans about the scam via his fan magazine, pointing out that it is not the singer as he would never contact his fans on WhatsApp, or via Facebook Messenger. Daniel has requested that anyone who receives messages in this way report it through the app and block the person responsible. The star, who is gearing up for a run of Irish tour dates early next year, is not the first Irish celebrity to be targeted in this way. Westlife star Shane Filan has dealt with several attempts by fraudsters to elicit either cash or information from his fans. In May he warned fans to be vigilant on social media as someone pretending to be him was contacting young fans via DMs on Twitter. He outlined the addresses of all of his official social media accounts and followed up with another post reiterating that he does not DM fans from any other accounts. Filan said he had reported the fake accounts and asked fans to do the same. More recently his image was used on a bogus online article asking people to invest €250. He took to Instagram to clarify that he no involvement in what he described as a 'scam'. Imelda May was also impersonated by an imposter on social media this summer. The person sent DMs to her fans on Twitter asking them to send money. Imelda shared a photo of herself on the social media platform and wrote: "Hey people. This is me! Not the hacker who’s privately messaging people as me, asking for money. I will NEVER do that! Be careful." Both model Holly Carpenter and Boyzone singer Ronan Keating have also warned fans about similar scams.